My eldest daughter Ann Marie, was born in 1986. She is a professional singer and music teacher. My More…second daughter Emily, was born in 1990. She is a professional singer and nanny. After living in Tamworth, England for nearly 4 years, my husband and I relocated back to New York in 2006. For a short time I was a bank teller. In 2007 I slipped on ice and sustained severe injuries to my neck and back. I became partially disabled. This event changed my person and my life right to the core. In 2009 I experienced a spiritual awakening and began the process of first becoming a Usui Reiki Master in February, 2010 and then I was ordained an Interfaith Minister on July 18, 2010 after an intense one year course. By experiencing severe hardships, I have found myself and my "calling" in life. Due to an injury I was unable to attend the 35th reunion. I have received reconstructive neck surgery and have had several operations. This May I moved back tho Michigan after having moved away forty years ago. I'm living upstate in Harrison, which is a far cry New York. I'm enjoying the peace and quiet that living in a small town can offer. I can't say that I feel like I'm home, but I can say that this is where I need to be at this moment in my life. Who knows where I'll be next year??! 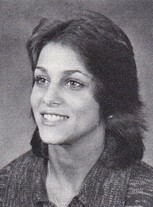 During my years at Wayne High I was in four choirs; concert, women's, ensemble and accapella. Singing and music was my life and my means of escape. Despite the fact that I constantly skipped class and frequented the "flats", then coming back to class stoned, I managed not only to maintain a 3.8 average, but graduated with a Merit Diploma. Three days after graduating I left Westland and moved to Stockton, California. I attended San Joaquin Delta College and graduated in 1979 with an Associate of Arts in Police Law. Since then I have been all over the U.S. and even England. I have furthered my education and became a Usui Reiki Ryoho Master in 2010 and an Interfaith Minister in 2010. I am a co-founder of an interfaith church and offer counseling and life coach sessions to those in a life crisis or in a spiritual transitional phase in their life. I am ordained to officiate weddings in the state of New York. The work is tremendously rewarding. Diana Braman Fearn has a birthday today. Diana Braman Fearn updated her profile. View. Diana Braman Fearn added a photo to her profile gallery. 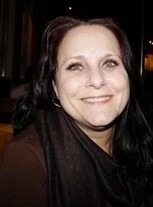 Diana Braman Fearn changed her "Now" picture. 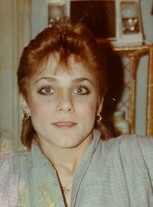 Diana Braman Fearn changed her "Then" picture. Diana Braman Fearn posted a message on Tim Lambert's Profile. Wishing you a very happy birthday old friend! Hope to see you at the reunion! Diana Braman Fearn posted a message. The first photo is me in 1981, the second was taken when I was ordained in 2010, the third photo is my youngest daughter Emily (who looks a lot like I did), and the last photo is me with my eldest daughter Ann Marie at her wedding in 2013. 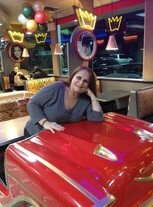 Diana Braman Fearn changed her profile picture. Fancy car seats at Burger King in Brooklyn, New York. Diana Braman Fearn has a birthday today. New comment added.